The organisers of leading organic trade fair BioFach have announced that, despite the economic downturn, they are once again anticipating some 2,500 exhibitors and over 46,000 trade visitors at next February's event. The exhibition's organisers point to the fact that growth is still being recorded in the market. 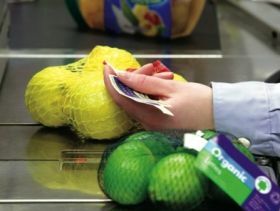 According to the statistics from the Swiss Research Institute of Organic Agriculture (FiBL), both the production area and the market for organics grew strongly in 2008 on an international level. “The organic area in Europe has risen from 7.8m to 8.3m ha, which is 6 per cent more,” said Helga Willer of FiBL. Spain reportedly registered the largest growth, with 33 per cent. In Poland, the Czech Republic and Denmark, the area devoted to organic production increased by some 10 per cent.